Starting later this spring and summer, Frontier Airlines will launch 11 new year-round and seasonal routes in ten cities across the country. Cities receiving the new service include Bismarck, N.D.; Chicago; Colorado Springs, Colo.; Indianapolis; Las Vegas; Los Angeles; San Diego; San Francisco; Sioux Falls S.D. ; and Washington. Later this fall, Frontier will add new service between Colorado Springs and both Fort Myers and Tampa, Fla.
Customers can take advantage of Frontier’s bundled choices, the WORKS℠ or PERKS℠, containing all of Frontier’s most popular options for one low price. 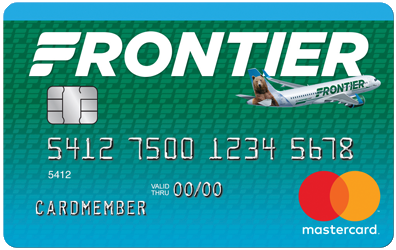 The WORKS℠ is available at FlyFrontier.com at time of initial booking and includes one carry-on bag, one checked bag, best available seat including Stretch and Exit Row options, full refundability when canceled at least 24 hours prior to scheduled departure, no change fees and priority boarding. The PERKS℠ is available after booking and has the same options as The WORKS except the ability to change flights and refundability. Fare(s) shown includes all transportation fees, surcharges and taxes and are subject to change without notice. Seats are limited at these fares, and certain flights and/or days of travel may be unavailable.